The gifts are raining down on the Indian cricket team, who deserve them as well. Their spectacular performance in the World Cup 2011 led them to lifting up the trophy. Now the media has not much to talk about on the Indian cricket team, no space for performance analysis, everyone in India is much thankful to the Indian team and one wrong word by the media can result in a PR disaster. But there’s one thing the whole world would want to know, the gifts. It’s like kids discussing and telling each other, the gifts they get on their birthdays. Audi’s decision to award Yuvraj Singh came after Hyundai had announced that it will reward all Indian players with its 2011 Hyundai Verna RB sedan if India won the world cup. The starting price of Verna RB is around INR 7-8 Lacs. Lets admit it, every automaker will cash in this opportunity to build some PR through awarding cricketers cars but the real headlines which made everyone get in deep on these car gifts is the Ferrari GTO said to be awarded to MS Dhoni soon. 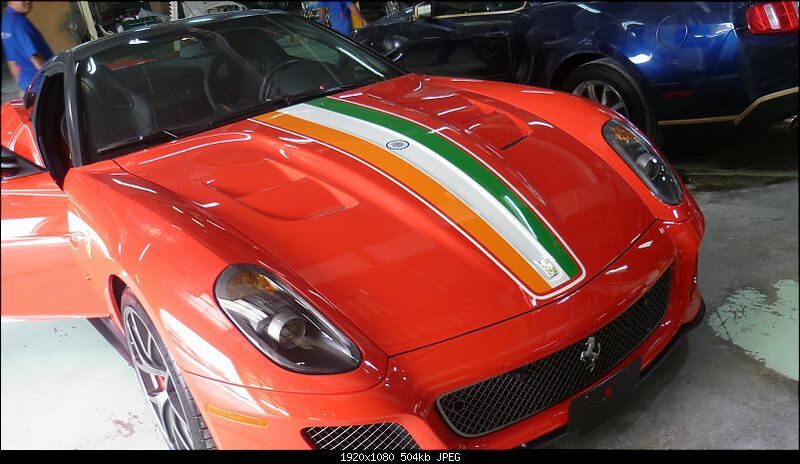 The third GTO ever to be produced by Ferrari, the car wears the tri-colors of Indian flag and costs above US $ 500,000. When media approached Ferrari to know more about this GTO, Ferrari said that it indeed is the 599 GTO but did commented on the owner or other details as Ferrari’s policy does not allows itself to disclose owner’s details. Ferrari had recently announced that it would be stepping in India in few weeks however, any Indian has to wait almost an year before it gets to drive one. Not much is known to everyone regarding who gifting this tech-crazy 599 GTO to MS Dhoni, but when Sachin Tendulkar ordered a Ferrari 360 Modena for himself, the Indian government waived off US $ 230,000 duty on the car. The Indian court had some complaint about it but Ferrari itself paid the duty as Tendulkar was well worth it. Well who cares as long as this is a real Ferrari 599 GTO unlike the replica trophy awarded to India.